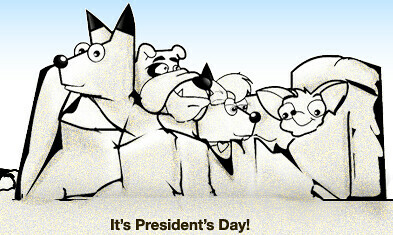 Today is President's Day, a legal holiday in the United States. It is around the time of Washington's birthday and it is used to celebrate all the Presidents of the United States every year. But today, Google and Yahoo do not have logos for the day. 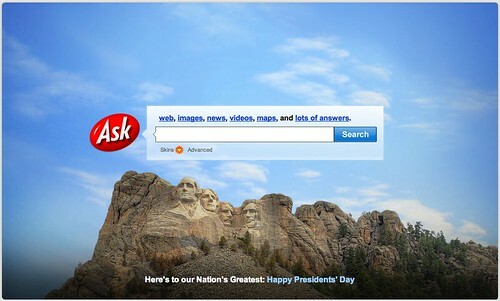 We know Darwin one upped Lincoln at Google on their birthdays, but to go silent completely on President's Day? It should not come as a surprise for those who have been tracking Google or Yahoo logos. Last year, Google and Yahoo did not show their American pride either. In any event, we did have logos from AOL, Ask.com, Live.com, DogPile and we have our own theme. Plus Google did have a logo up for a short period of time, more on that later. 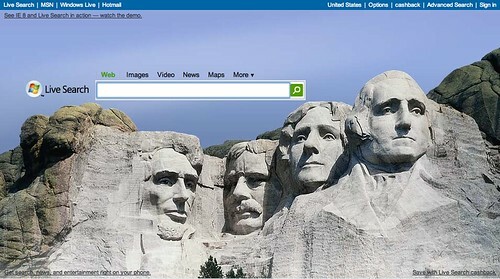 As you can see, most went with Mount Rushmore. Philipp Lenssen explains, "at 2009-02-13 23:31:30 UTC specifically, the Unix time stamp in decimal was 1234567890. "For the occasion, Google very briefly put up a special logo," Philipp added. Check out some more details on this at 1234567890day.com.